Beacon High School graduated 278 students on Saturday, June 26, 2010 at Dutchess Stadium. 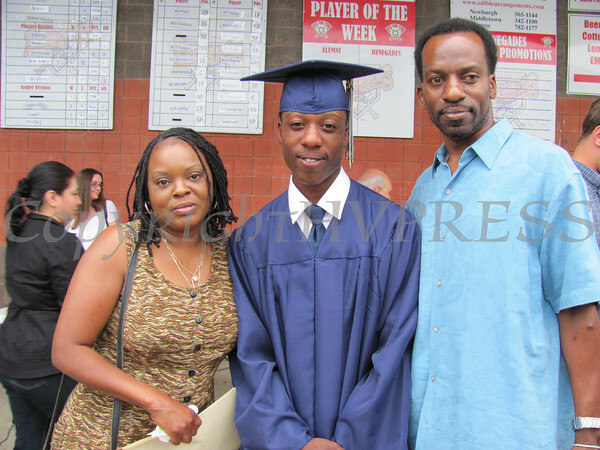 Pictured is Beacon High School graduate Michael Clee Jr. with his mother Beverly and father Michael Sr. at Dutchess Stadium on Saturday, June 26, 2010. For Hudson Valley Press/JENNIFER WARREN.